iСore is fastest growing IT company specializing in practical use of integrative and multimedia technologies into business processes. 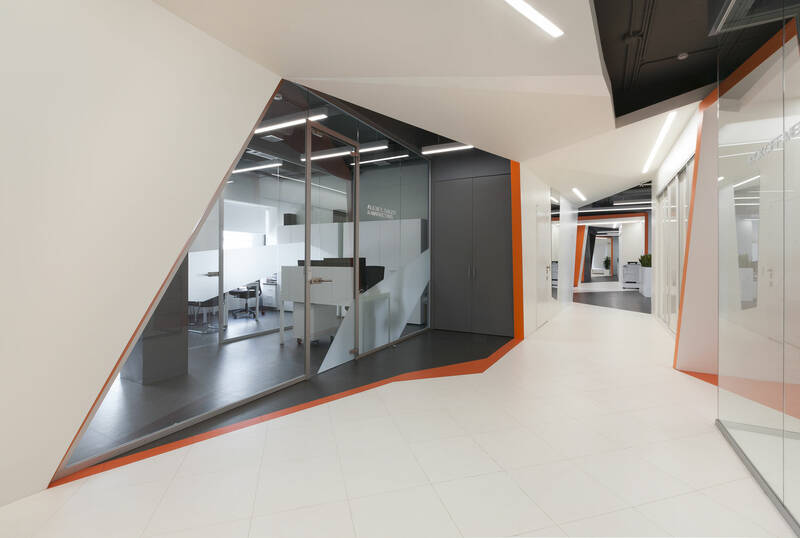 The management of the company decided that the interior of the office should reflect the company’s key priorities – innovation, dynamic and successful development. 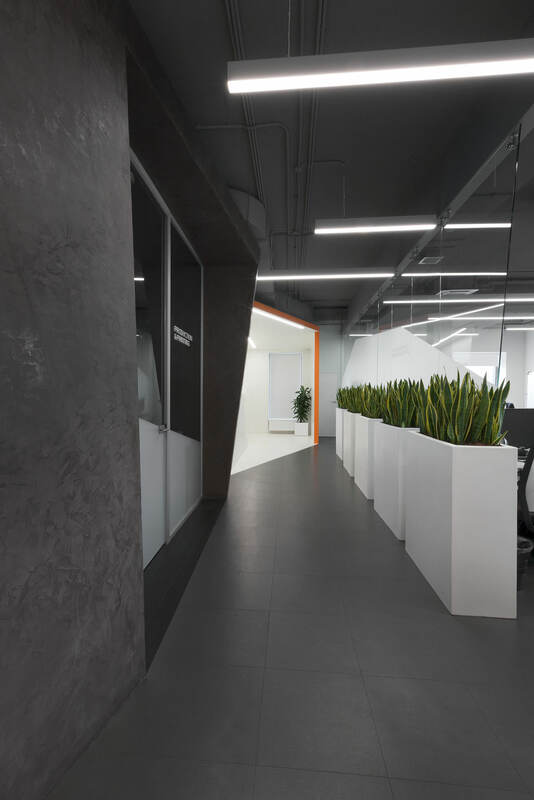 The office is located on two floors in a new business center, a smaller part on the third floor (180 sq. m.), and a large one on the fourth (530 sq. m.). The main zone was given maximum attention, since in addition to working premises it is also designed for visitors. 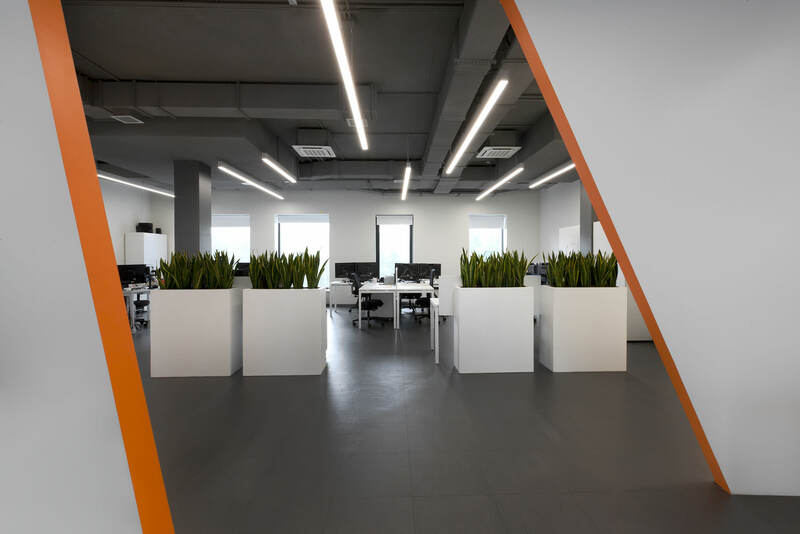 Office spaces are stretched along the central axis of the corridor, as they were to be divided into zones with different access levels. 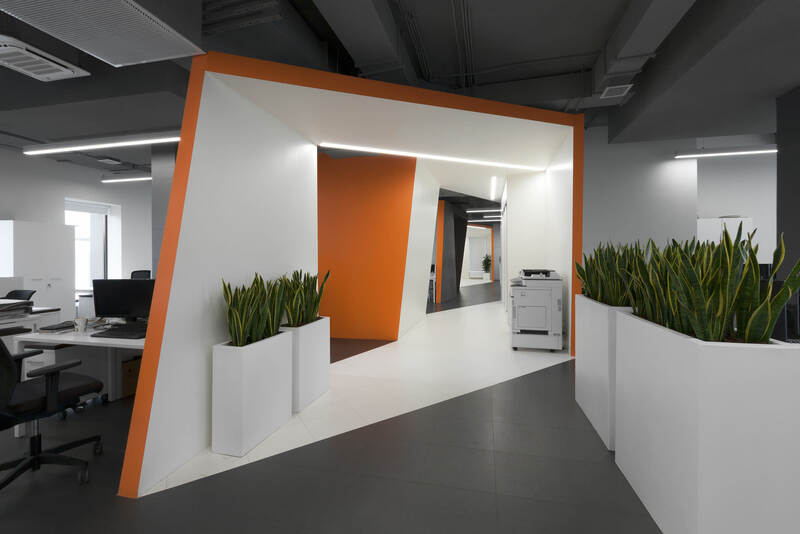 Therefore, the architects applied several zoning methods, singling out open-space, isolated common spaces (parts of the office for higher-level access with glass partitions) and, finally cabinets with access control, which are comfortable workplaces and zones for various purposes. 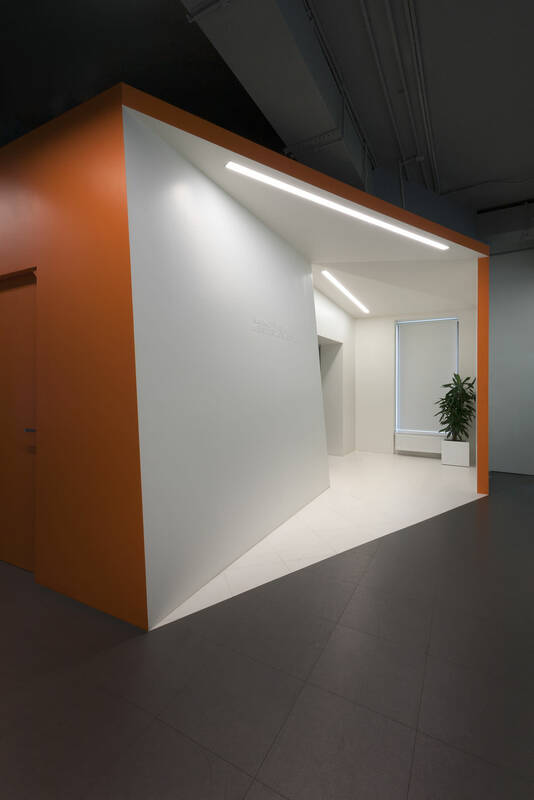 The key priorities of the company are fully reflected in the interior design: it demonstrates the development of modern technologies and the company’s desire to be on the brink of progress. 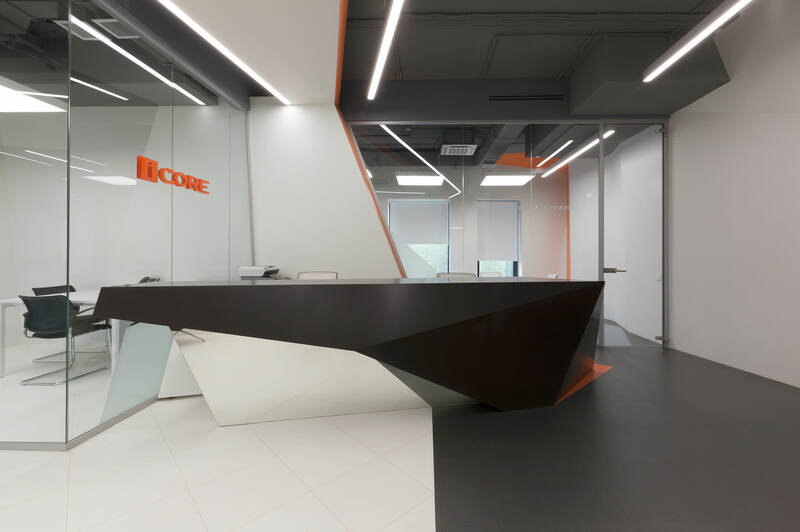 The architects had achieved the goal by bringing into focus company’s name – “iCore” (information core). 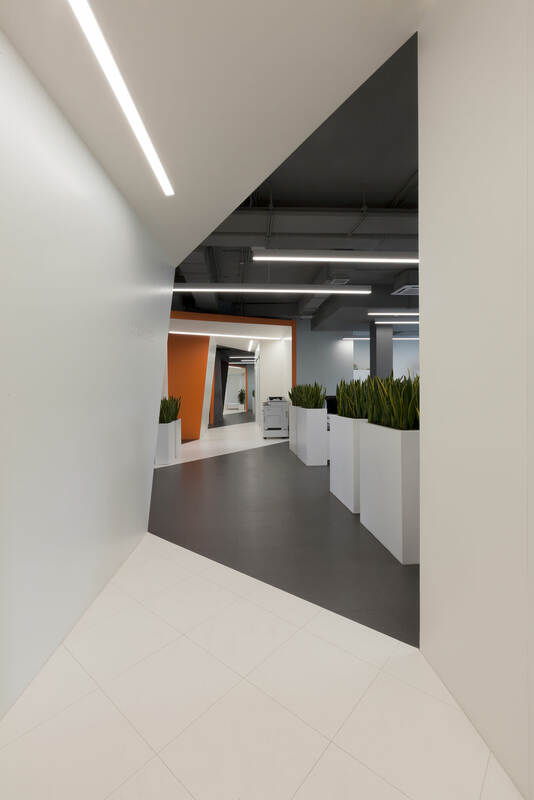 The solution is graphically and visually clear – the perspective of the corridor in the form of a tape is unfolded from the glass “core” of the meeting room with other spaces “connected” to it. 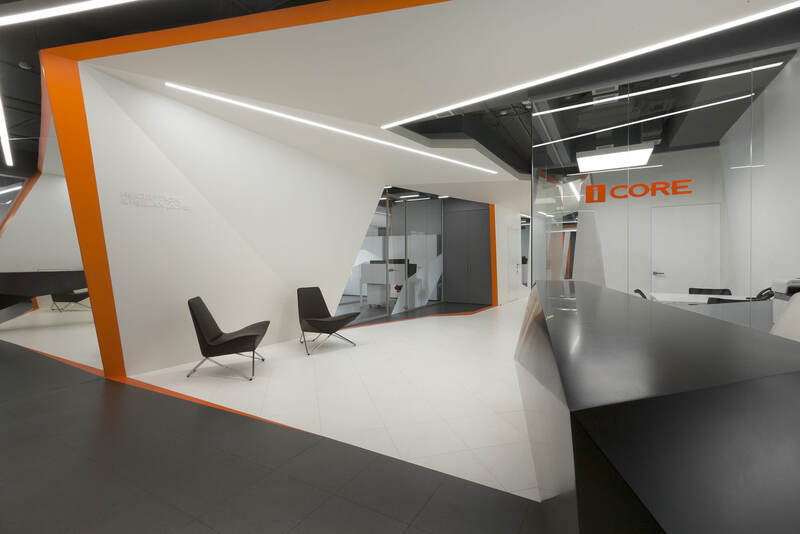 Powerful visual center, the “core” of the office is formed and supported by corporate colors, materials and forms. Yet the development of working areas was dominated by ergonomics and comfort of employees. 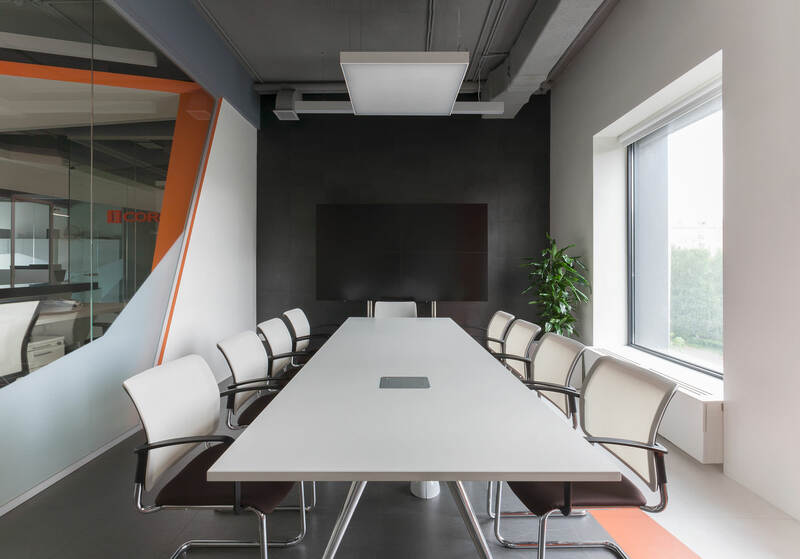 Za bor studio always pays special attention to comfort – one of the cornerstones of the workspace organization. Background noise made by employees and equipment is one of the main problems in large offices. It usually makes concentrated work impossible. One of the interesting solutions in the project was the use of the modern sound absorbing material Isocork made from pressed cork of cork oak. 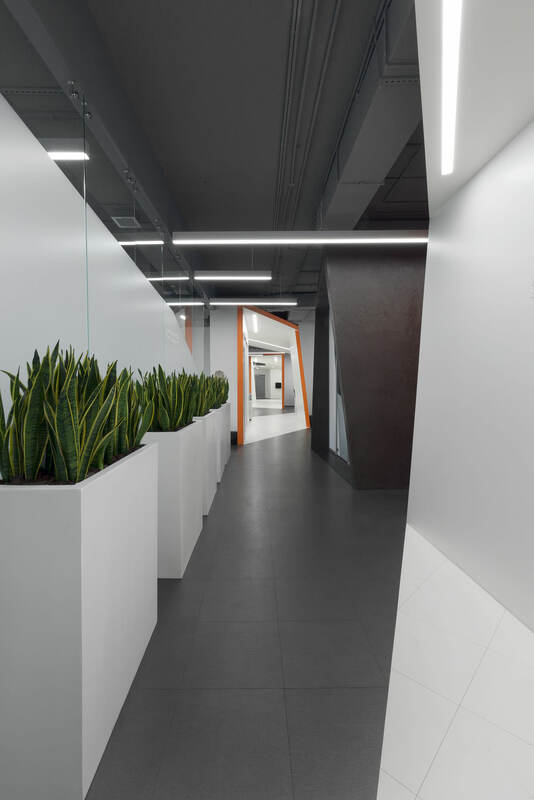 Ceilings and some walls covered with this material largely reduce the acoustic characteristics of the halls, making them more adapted for the simultaneous stay of large number of people. 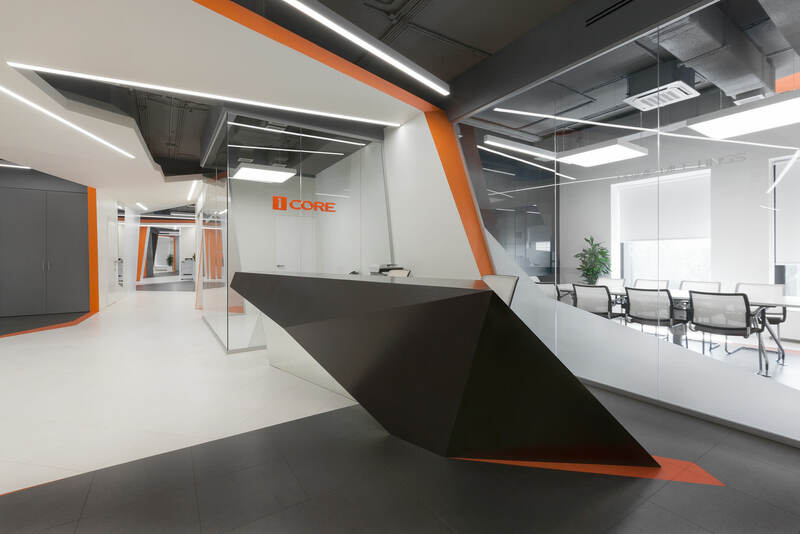 Using a relatively small budget architects managed to create an active dynamic interior in which the graphics of complex volumes and their color form synergistic effect – set the rhythm, which visually expands the office space and makes it visually attractive and interesting.